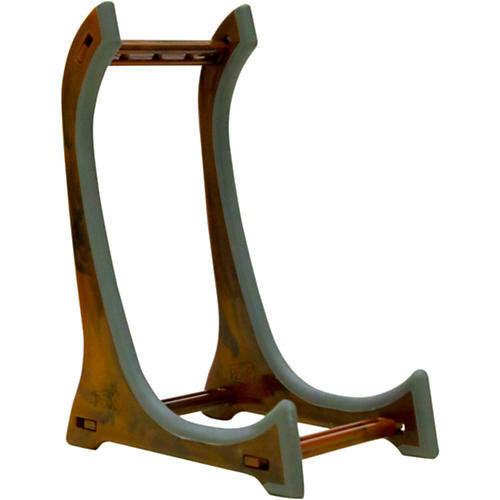 Small heavy-duty plastic stand works with violins or ukuleles. A very simple to assemble stand that can be used with either a violin or ukulele. This stand makes for an excelent display piece and high-quality rubber grips the instrument from underneath to cradle it in place. Made from heavy-duty plastic with wooden color finish.